You are Sam Fisher. A lone shadow-operative in a world where lost seconds can allow terrorist plans to become deadly reality. You operate in the heart of hostile territory. Spy. Steal. Destroy. Assassinate. Just don’t ever be seen. Because when the stakes are this high, the choice between leaving a witness or a corpse is no choice at all. 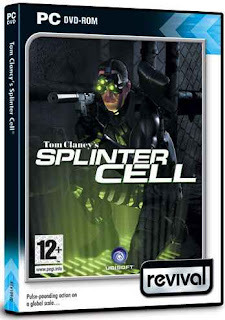 When two CIA agents mysteriously vanish in the former Soviet republic of Georgia, the NSA’s secret sub agency, Third Echelon, deploys Sam Fishe–its most capable splinter cell operative–to recover them. Fisher soon uncovers a deeper conspiracy: a plot that threatens to destabilize the world order and spark nuclear conflict.